Home Encouraging What Makes Happiness so Difficult? What Makes Happiness so Difficult? There is only one person responsible for our happiness and only one person that makes it hard for us – that person is ourself. Joyfulness resides in our heart, it is there for us to connect with at any time. When the energy centre of our heart is in balance, joy comes to us naturally in abundance. In order to bring our heart centre energy into a steady and even pace, we must rely on our Souls evolution. Our physical, emotional, mental and spiritual bodies are all connected to the energy that exists within us. 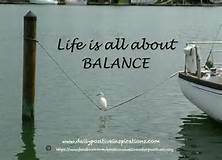 If there is a place in our physical body where the energy gets stuck, then it creates an imbalance and lots of things can go wrong. If you are not feeling good in any or all of those energy centres, if the scales of life are heavier on one side of the spectrum than the other, then something in your life probably needs to change. The most important remedy for happiness goes like this – the time has come now for you to take better care of yourself. I know it sounds simple and as simple as it sounds, we all know it actually is not. There are so many people that just don’t know what it means to take care of themselves. Those people, the ones that feel their best when they are giving, are the ones that need to learn how to replenish their own Souls the most. Everyone talks about balance, but do we really know how to balance our live’s? As hard as we may try sometimes, the scales just never seem to tip in our favour. Symmetry is a beautiful word when it works. When the conditions of our life, such as the elements of our day to day living are equal or in correct proportions to what we give and what we allow ourself, then we have symmetry. Let me ask you this – what if currently the way you live your life was taking more from you than you have to give, what if there was a chance that you could get a glimpse of the future, and that vital pre information allowed you to see that if you didn’t begin to balance your life a little more, you would get sick, what would you do? Would a premonition of your future be enough for you to want to make some very important changes now? Balance, such a simple word, but there is no simplicity to the work involved in its result. Nothing good for us is ever easy, we must labour hard to keep our heart centre happy and joyful. Begin to recognize where in your life you need to take better care of ‘you’ and make some healthy changes. It isn’t as scary as you think it is. I promise.